Delphi is one of the most visited ancient monuments of Greece and chances are that if you are visiting Athens, you want to pay a day visit to Delphi. 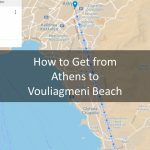 Here is how to get to Delphi from Athens. A. By Car: Once you arrive at the Athens airport, you get your car and you get on to “Attiki Odos road”. It is the only road in front of Athens airport so no worries. You cannot miss it. 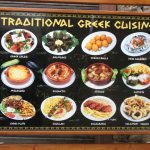 Once you are in Attiki Odos, you follow the signs towards “Elefsina” and you get out of the road on the Exit Number 9, towards Lamia. This is the National Road of Greece, with the name E 75. You keep on driving on the E75, towards Lamia, and when you reach the “Kastro” area, you make it right, following the signs of the road, towards “Livadia“. You pass through the villages of Orhomenos, Livadeia, and Arahova and then you meet the Delphi Oracle. 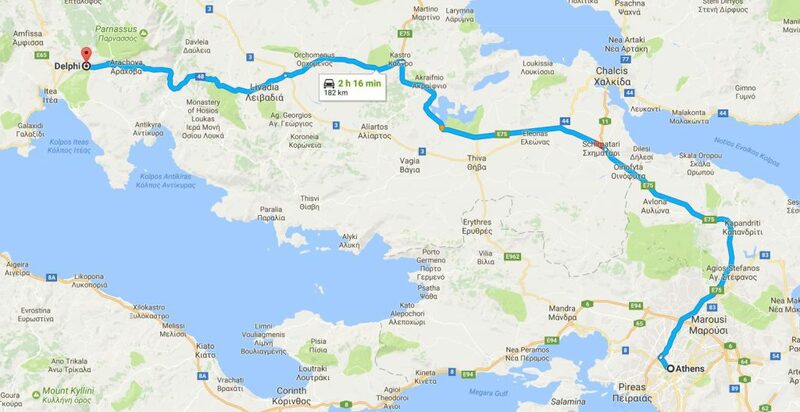 The drive time from Athens to Delphi with a car is 2 hours and 20 minutes. And you should expect to pay around 10 euros in tolls. B. By Bus: You get the bus with the number X 93, which goes from the Central Bus Park Station of Kifisos to the Athens Airport, and it is an Express route. You get down from the bus at the Station of Bus Terminal Liosion (which is at the address 260, Liosion street). Then you get a bus from Liosion Bus Terminal, towards Delphi. The bus will take you to Delphi from Athens, in around 3 hours. The Bus Center of the Buses in Liosion is reachable at the telephone 210 8317096. The telephone of the Bus Terminal in Delphi is 22650 82317. 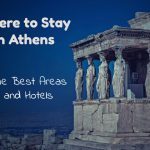 If you want to book online your bus ticket from Athens to Delphi, you need to visit http://www.ktel-fokidas.gr/en/yphresies/online-tickets. 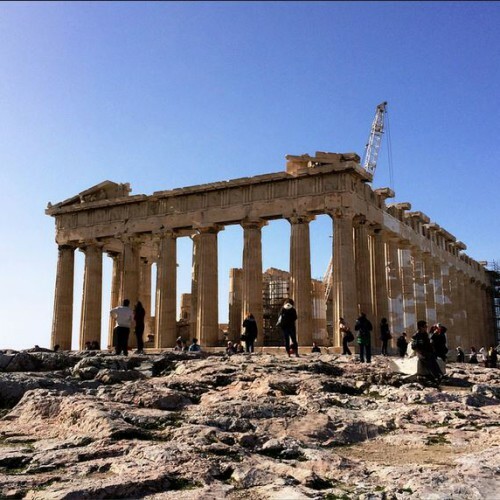 The ticket price of the bus from Athens to Delphi is 16.40 euros per person. The buses depart at 07:30, 10:30, 15:00 and 17:30. Bear in mind, that Delphi is in the prefecture of Fokida, that’s why you will see the word “Fokida” next to “Delphi’. Make sure you always select “Delphi” as the final destination in the search engines. Starting from Kalampaka, you get on the National Road E 65 and go through Trikala, Karditsa and Sofades villages, with a direction towards Lamia. After Lamia town, you exit on your right towards Amfissa and then you will see Delphi. Starting from Thessaloniki, you get on the National Road E75, towards Athens. After Lamia, you exit on the right towards Amfissa town and then Delphi. Starting from Olympia, you get on the National Road E55, you pass the Pyrgos town and you head towards Patra. After Patras town, you head towards Rio. You cross the big bridge of Rio – Antirrio (11 euros toll), and you turn right towards Nafpaktos. After you cross Nafpaktos, you continue through Galaxidi and Itea villages and then you reach Delphi.